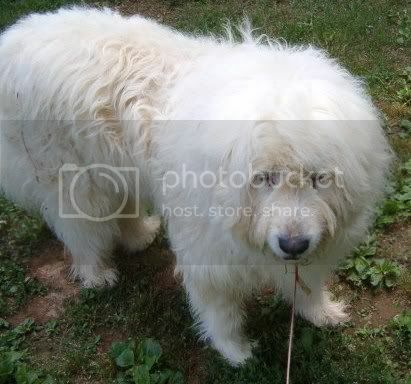 Just took a picture of Beela. I am waiting for Travis to come help me lift her into the car. This weekend she really started having difficulty with walking and getting up. She had to be given hefty doses of pain meds and this is no way to live. Pray for us as I have the appointment for her to be put to sleep at 3:30. You are a strong woman to do this for her. Prayers for you 4Donks. 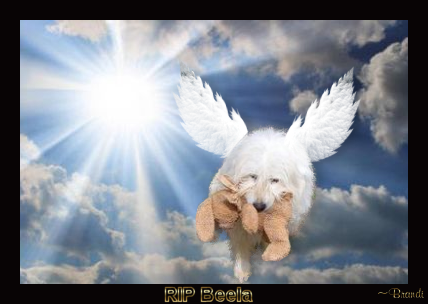 Beela was a lucky dog to have had you take care of her. I'm so sorry 4 Donks. Bless Beela. I am so sorry 4Donks. Prayers for you both. You are right that is no life for her. It's still a hard decision to make. Bless you both. My soon to be EX BIL that is in jail for stealing the ice cream truck. He had a seizure, they took him to the hospital, sent him back to jail. Two hours later, he had a full blown seizure and is in ICU. I really don't like this guy for what he is putting my sister through, but he is the father of my nephew. I would really would appreciate any prayers you can give him. JSM so sorry to hear about your soon to be ex BIL. Prayers he makes it thru without any bad after effects. Going to get Connie today and hopefully she can work on shredding some papers and her own budget. Trying to get her to stay 2 nights instead of just 1 as she has no therapy this week. Don't think I told you what she wants to use her jewelry money for . . . getting her new shoes. In order to have a shoe on her right foot instead of a boot (like for a broken or strained leg), we have to order 2 sizes, which translates to double the price for one pair of shoes. We ordered 2 pairs of shoes (really 4) and she wants to use the money for that. Bless her heart. They are expensive to begin with because of the quality needed. Anyway, God will proivide. If any monkeys can help me, I have looked on-line to try and get a handle on what it would cost for a car equipped with hand controls. Found plenty of sites for vans for wheel chair assessibility, but Connie doesn't need a wheel chair or the equipment. If anyone finds a site, please let me know. The only one I found was Ride-Away. Would be delighted to find something used. Hope everyone has a delightful day. Acts of kindness speak louder than words. Good Evening Sister. Wish I could offer some help. All I can do is pray you can find answers to your questions. 4 Donks, as soon as I read this I shut down the computer and went outside to pray to the day sky and our Lord above. Knowing you made the right decision somehow does not lessen the depth of the pain. I will continue to pray. So sorry for your nephew. I hope everything turns out for the best. Yesterday ended up horribly as none of the shoes worked out. They of course are re-ordering but Connie was devastated. She sat right there crying so hard and mumbling in our own precious language. Just to have shoes that match and fit her feet. How much Lord I take for granted, for which I am humbly ashamed. She was so upset she didn't come here as planned. I need to figure out a fun day for her where there can be no disappoints but just lots of laughter and tears of joy. this is a link to the company my ex's dad used when he lost his leg. They seemed to be really good - but I do not recall the cost. Yes, thank you. I saw this but guess I will have to make a call as the only things on the web page were vans. I appreciate you sharing the link. That is just beautiful Brandi. Thank you GE. When he is not on drugs he is a good person. He is on the ventilator, not sure when they will take him off. Thank you sweetie. The nephew doesn't know his dad is in the hospital or went to jail. All he knows is that his dad is in Georgia getting help. So very sad.